We drooled at DesignerCon 2018 when we saw the prototype on display at Tomenosuke booth which you can check out our live stream below, minus our drool, HA. 4 years in the making its finally here! Circus Posterus Fans Facebook group revealed the release info for the First Edition: Infrared Edition STELLA and FLUX. through her heart/chest, who has magical abilities as well. Together they are on a mission to save and protect the universe! projects to date for Tomenosuke+CP – 4 years in the making!!! 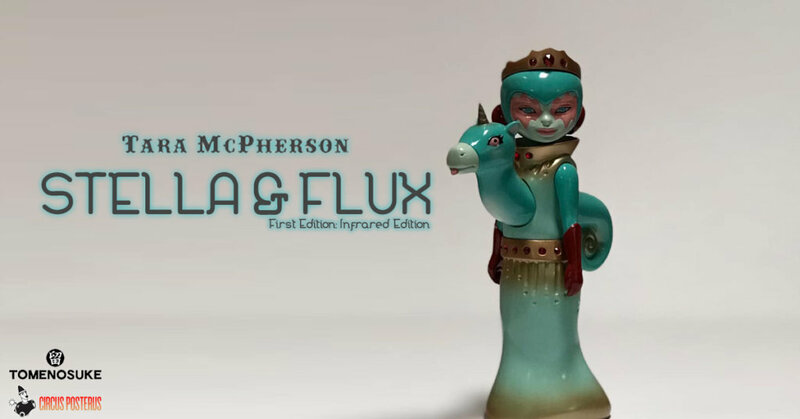 or the Stella and Flux Debut Edition!